YONKERS, New York (WABC) -- There was a big Thanksgiving surprise for a Westchester County couple. They were rushing to the hospital to give birth, but they didn't make it there. Terrice Thomas says she's heard all those stories about women giving birth on the side of the road, but never expected to be one of them! 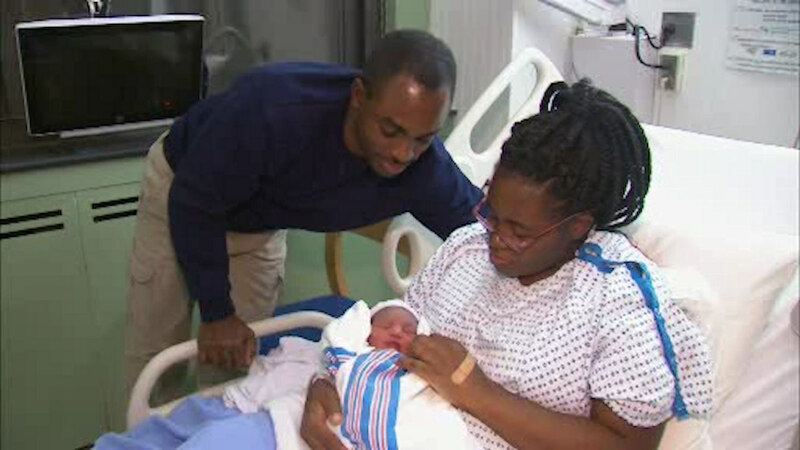 They were on the Sprain Brook Parkway in Yonkers when she realized the baby just couldn't wait. "We pulled over, he called 911, they started to walk him through what to do, and I'm like, 'I'm here, I'm over here,' I called out to the dispatcher, 'I'm here, I'm over here, the baby's coming,'" Terrice said. "I saw the baby's head; the baby's head was out. So he was saying to me, 'Listen the baby's going to be slippery, you got to catch it. Don't let it fall, you got to catch the baby,'" said Austin Thomas, the baby's father. Terrice gave birth to a healthy baby girl named Taliah in the front seat. Firefighters arrived on the scene soon after, checked Taliah's vital signs and cut her umbilical cord. The whole family is doing well at Phelps Hospital in Sleepy Hollow.